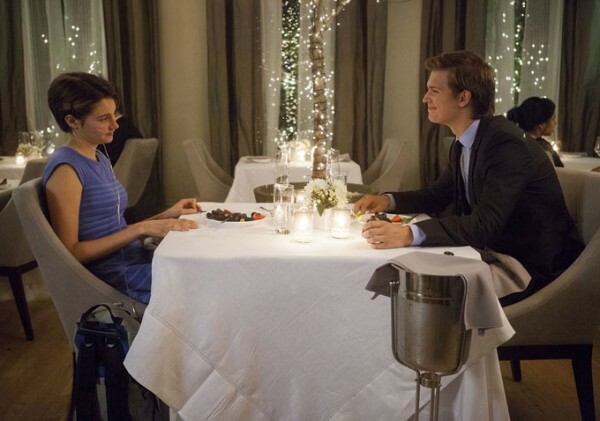 Film Review: ‘The Fault in Our Stars’!! STOP, a man (young man at that) really whole-heartedly pursues, woos, and loves a woman. This must be a movie, and oh and what a movie. The Fault in Our Stars is a romantic drama with wonderful moments of levity and truest love that are contrasted with the extreme plunges into frustrations, despair, and numbness. This emotional rollercoaster is the journey into love between Hazel Grace Lancaster (Shailene Woodley) and Augustus Waters (Ansel Elgort). Hazel Grace is sixteen and dying from stage 4 thyroid cancer that has virtually destroyed her ability to breathe on her own. HG has kept to herself and perhaps given up on the idea of having a boyfriend in her life when she meets the ultimate yet genuine charmer, Gus. It is never too late to find true love or for true love to find you. The film begins with the end (literally the first shot of the film is the end shot of the film) and is partially narrated by Hazel Grace. HG after years of semi-isolation aversely decides to join a terminal cancer support group. This is not a choice she is enthusiastic about either. The first meeting is cheesy and annoying with the mega-nerd leader boring HG to death (excuse the pun). However, upon the second meeting, HG walks right into the soon to be love of her life, Gus. Gus is, at the time, a cancer survivor who had to sever his lower leg in an attempt to rid his body of osteosarcoma. Gus is immediate and deliberate in making his intentions known to HG with an unflinching stare that assures any viewer that he means business. The Fault in Our Stars is an amazing film and pure example that love comes when you least expect it. The power of love is brilliantly demonstrated. 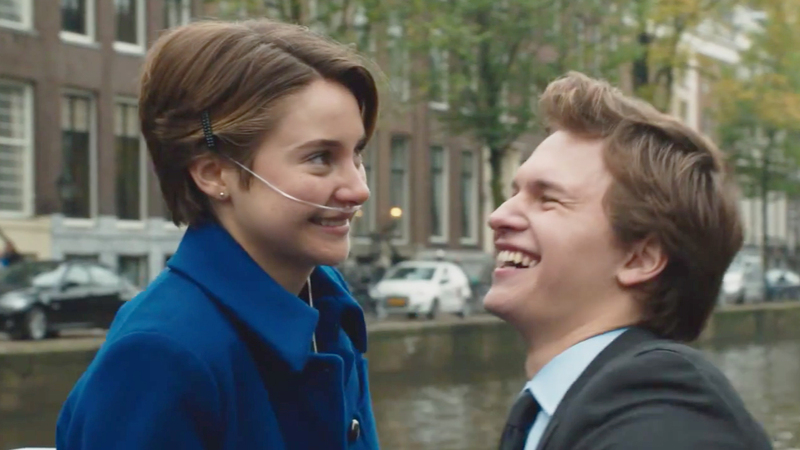 Being a powerful heart jerker, The Fault in Our Stars will melt the most frigid of hearts and make a believer out of the most love-forsaken cynic. This is my first time watching a performance of Shailene Woodley’s, but I expect she will continue to blossom into a fine actress as she goes. Although I had technically seen Elgort in the 2013 remake of Carrie, The Fault in Our Stars has made me see him anew and I was moved by his ability to bring such depth of sincerity to the character Gus. I look forward to more great performances by both of these young actors. It was a delightful surprise to see Sam Trammel (Michael, HG’s father) in the film. I have watched Trammel for years as Sam Merlotte in HBO’s True Blood (and will dearly miss his role when the show ends this season). Trammel has natural warmth that irradiates through him in both True Blood and The Fault in Our Stars. His fatherly love and wisdom is so genuine in his talks with HG. 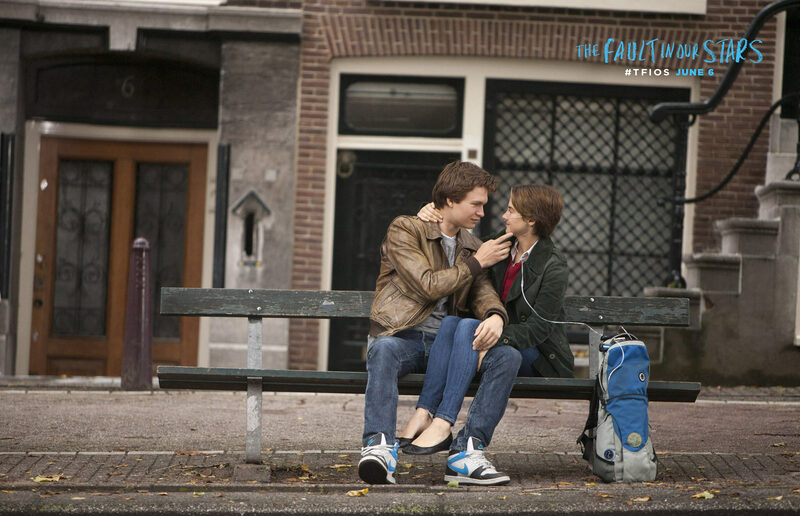 The Fault in Our Stars shows the world that Love is not something to fear or withhold. Love is not meant for the person that feels it; Love is meant for the person for which it is felt. Don’t believe me? Watch The Fault in Our Stars and see if you see Love from a different point of view. Just make sure you hydrate before and during the film as well as have a full box/bag of tissues with you. Trust me. This entry was posted on Saturday, June 7th, 2014 at 4:22 pm	and is filed under Film, News. You can follow any responses to this entry through the RSS 2.0 feed. You can skip to the end and leave a response. Pinging is currently not allowed. « FILM REVIEW: ‘CHEAP THRILLS’! !